Hiro is a Japanese engine who was brought to Sodor many years ago. Hiro was once the strongest, fastest engine on the island, but over time fell into disrepair. Once discovered, Thomas befriends him and vows to repair him and soon becomes a great addition to Thomas and his friends. 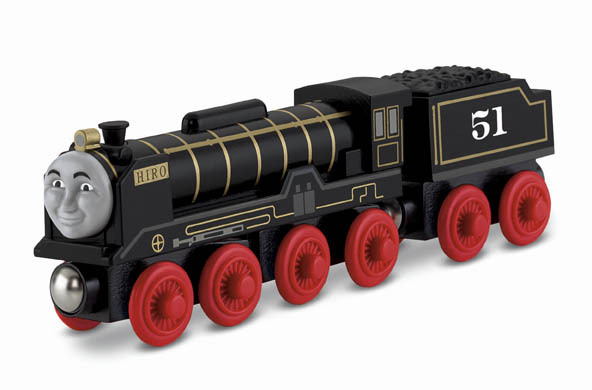 Hiro was the first steam engine to arrive on Sodor and was originally known as the "Master of the Railway." Hiro can connect to other Wooden Railway engines and vehicles with magnet connectors. Perfect for Thomas & Friends™ Wooden Railway sets!